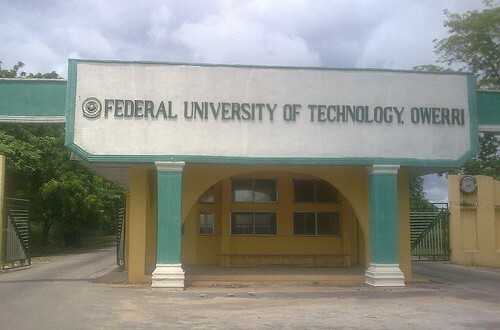 At least 42 students of the Federal University of Technology, Owerri, have graduated with First Class in their various courses. This is coming just as the institution was appointed as Africa Centre of Excellence in Future Energies and Electro-chemical Systems (ACE-FUELS). Professor Francis Eze, Vice Chancellor of the institution who disclosed this to newsmen on Tuesday at a pre-convocation press conference, noted that the institution is one of the 17 universities in the country approved as Africa Centre of Excellence in various specific research areas. According to him, FUTO ACE-FUELS is sponsored by the World Bank in collaboration with the Association of African Universities (AAU) with the aim of improving the quality and quantity of higher degree programmes in the continent. Eze said that the project has been put at $6 million in the first phase of 4 years and renewable for another 4 years. He said: “By the same token, FUTO emerged overall best in the Maiden Open Education Resources (OER) ranking by the National Universities Commission (NUC) in 2018, adding that by the ranking, the university was rated the best in the country with the highest online resources. Out of a total of 2,927 graduating students to be conferred with degrees, Eze said that 42 would be conferred with First Class honors degrees, 834 with Second Class Honors (Upper Division), 1, 352 Second Class Honors (Lower Division), 254 with Third Class honours while four will graduate with a pass.